Tired of long bank recon and typing in bank statements by hand? We have developed a bank statement import module to solve this problem for you. Import you bank statements electronically and reconcile your bank account in record time. Simply download your bank statement in OFX format from any of the major banks. 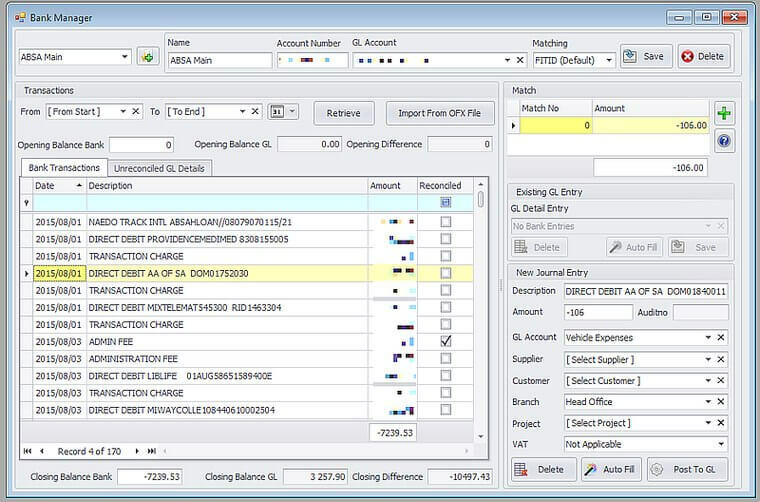 Then match bank statement entries to existing GL entries or create new entries. The program will remember previous matches and fill them in automatically next time. Reconciling your bank account will never have been quicker or easier.